Sure Power is a new standard in herbicide power, providing swift early-season and late-season control to strike down challenging broadleaf weeds. In fact, broad-spectrum Sure Power is proven to produce excellent control of ground ivy and wild violet. Its four-way formulation manages more than 250 broadleaf weeds, making Sure Power a valued tool in the pursuit of clean cool-season turf. Experts anticipate 2019 to be the year of pergolas, two-in-one designs and automated maintenance. The National Association of Landscape Professionals has released its official list of the top 2019 landscape trends. Drawing upon the expertise of the industry's 1 million landscape, lawn care, irrigation and tree care professionals, NALP annually predicts trends that will influence the design and maintenance of backyards across America in the year ahead. NALP develops its trends reports based on a survey of its members. It also draws from the expertise of landscape professionals from across the U.S. who are at the outdoor trends forefront. "Homeowners yearn for beautiful outdoor spaces without the hassle of upkeep. With the rise of multi-functional landscape design and automated processes, consumers can spend more time enjoying their landscapes than ever before," says Missy Henriksen, the NALP vice president of public affairs. "This year's trends reflect current lifestyle preferences as well as innovations happening in the industry that are transforming landscapes across the country." Functional elements are becoming a necessity in today's landscapes. Consumers desire stunning outdoor features that have been cleverly designed to serve a dual tactical purpose. An edible vertical garden on a trellis that acts as a privacy fence, a retaining wall that includes built-in seating for entertaining, and colorful garden beds that divide properties all combine function and style. The latest technology and equipment allow tasks to be more streamlined and environmentally efficient than ever before. Robotic lawn mowers continue to rise in popularity among both homeowners and landscape professionals. Also, programmable irrigation systems and advanced lighting and electrical systems help outdoor spaces become extensions of today's smart homes. Homeowners relish knowing that these technological advancements give them more time to relax and enjoy their outdoor spaces. A staple of landscape design for years, pergolas constructed of wood or composite material are now becoming more sophisticated. They can now come with major upgrades, including roll down windows, space heaters, lighting and sound systems. When paired with a luxury kitchen, seating area or fire feature, pergolas can become the iconic structure for outdoor sanctuaries. Pops of coral and blush are anticipated to add a more feminine touch to landscapes this year. With Living Coral named the Color of the Year by Pantone, a leading provider of color systems and an influencer on interior and exterior design, landscape professionals predict that this rich shade of pink could bring fresh blooms of roses, petunias, zinnias and hibiscus to flower beds. Experts also anticipate light blush tones to become "the new neutral" and another option for hardscapes and stone selections. Whether homeowners want a bold statement or whimsical touch, incorporating metals can bring new dimensions to landscape design. Used for decorative art, water features or furniture and accessories, creative uses of metals including steel and iron can make for lovely accents or entire focal points. Blue crystals help provide efficient application and even ice melting. Melts ice and snow to -15 degrees. Safe for use on treated wood and concrete. Source: Lawn and Landscape Magazine State of the Industry 2014. It is also worth noting that over 30% of respondents listed "Landscaping Maintenance" as their most profitable service. Other services such as "design and build" and "chemical lawn treatments" were substantial revenue drivers. So what does all this data equate to? Revenue. Each year, droves of new competitors enter the market. Nearly 20% of the entire industry is made up of new landscaping services. If you haven't faced fierce local competition, consider yourself lucky (for now). Anti-desiccant spray applied in the fall coats the foliage of your plants with this layer of organic "sealant" to help the plants resist the drying power of winter winds and conserve the moisture vital to their good health. Properly applied, a winter protection spray will safeguard your valuable plants through the cold months and gradually break down as warm weather approaches and your trees and shrubs begin spring growth. There is considerable discussion about the proper time to apply fertilizers to trees. 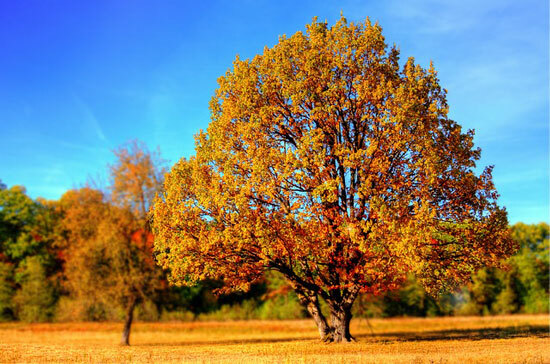 The practice of applying N-P-K fertilizer to trees in the fall is common in the arborist and landscape industries. Is this practice a good one, or not? Application of phosphorus (P), potassium (K) in the fall actually helps the tree prepare for winter, by inducing a proper hardening-off of this year's foliar tissues. This practice is common in forest tree nurseries. However, high levels of soluble nitrogen can encourage foliar tissues to remain young (juvenile), and to delay their preparation for frost. Therefore, application of high levels of soluble nitrogen (N) fertilizer to trees within 6 weeks of anticipated first frost will increase the risk of early frost damage to the foliage. Such nitrogen-induced foliar damage is more prevalent in hardwoods rather than in conifers. Slow-release forms of nitrogen are safe for use in the fall, since these will not have the same effect in promoting top growth as the fully soluble forms of N. For this reason, most commercial applications of nitrogen in the fall utilize "low and/or slow" Nitrogen. Rain amounts and soil moisture are generally better in the fall. To order or obtain additional information please contact us. As I sit here enjoying a beautiful 80 degree day in mid July, it's ironic to be talking about salt. Actually, if you are in the "salt business"or are a snow contractor or property manager it's late to be talking about salt. Here in Michigan and the Midwest we are only 4 months away, or less some years, from our first snow and/or ice event. It should be important for us to know: who we are working for? Who is working for us? Do we have enough equipment? And where are we buying salt and how much will it cost this year? According to some research we can all find out there on a Google search....there is about 10 million tons of salt that are sold into this region and its outskirts annually. There are about 4 main providers, one at about 1 million tons, one at about 3 million tons, and a couple others that make up another 6 or 7 million tons. There are a few other salt companies that don't own mines (at least in the US or Canada) and they import salt from other countries, such as Egypt, Chile, United Kingdom, Morocco and others. This combination of providers work to win bids and win relationships to sell salt into all of our cities, towns and local markets. After this round of sales, there is some salt released to be sold direct from the top salt companies to contractors or to large resellers/brokers of salt. The pricing available to this round of buyers is higher than that of the pricing offered to our state and local governments. 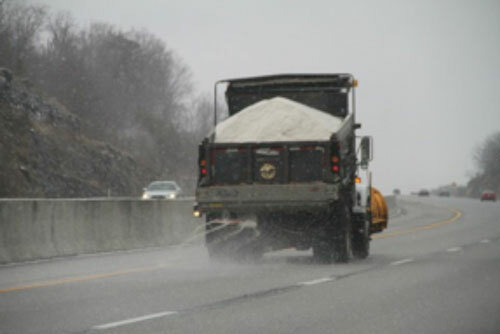 Once this round is achieved, the smaller contractor, one without a place to buy and store a season's worth of salt or at least a sizable portion or a seasons salt...well they must rely on the local supply yard to have salt for them a few tons at a time throughout each event, all season long. As you might imagine, each layer has a cost increase and a risk increase. The sooner we all find and secure a salt deal to meet our needs the better off we will be going into winter, negotiating contracts and sharing this process with the end users…our clients. I strongly urge you to "educate yourself and educate your clients" on the process of procuring salt. Knowledge is always powerful and helpful. Perhaps the most serious turf disease likely to occur in northern Illinois is summer patch and necrotic ring spot, two separate diseases that attack grass roots and previously were referred to as fusarium blight. 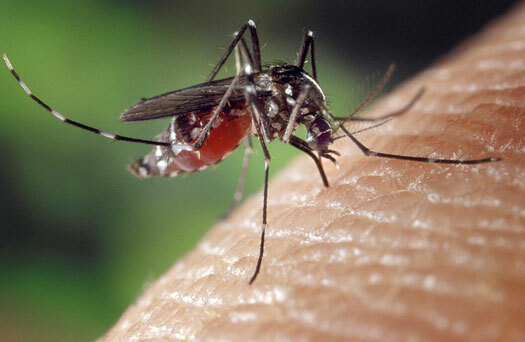 Research continues to look for information on these diseases. Brown patch may also attack turfgrasses. 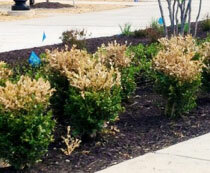 These "patch diseases" are similar in appearance and management in lawns. Summer patch and brown patch tends to be most active in hot weather, while necrotic ring spot tends to be most active in late spring and in fall. Disease symptoms often show under turf stress in summer, however. Crescent shaped or circular patches of dead grass, often with clumps of green grass inside, are a characteristic symptom (often called "frogeye"). 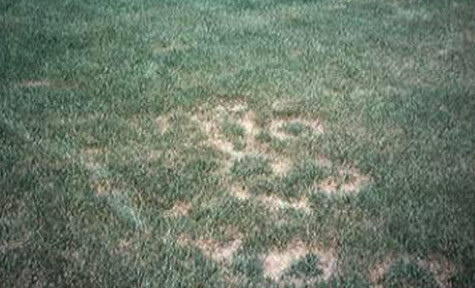 Lawn and other turf areas with advanced disease development may show irregular dead areas and streaks. Patch diseases typically develop on turf with stress factors such as excessive thatch, poor soil conditions, sod installed over a poorly prepared site, irregular/excessive nitrogen fertility, and related problems. 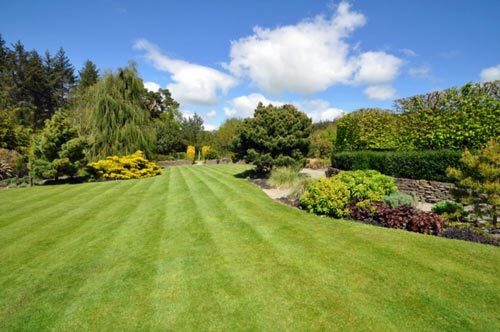 One typical situation in which these diseases occur is recently sodded lawns (within 2 - 5 years) put down over a clay soil, usually with good care (high watering & fertility) to keep the grass green and vigorous. This condition leads to poor root penetration and development, and also often a problem thatch layer. Management of these diseases consists of correcting soil problems and implementing proper cultural practices, overseeding dead areas, and possibly fungicide applications. Improving conditions for root growth and reducing problem thatch is critical. Practices such as core aerifying and topdressing, along with sound fertilizing, mowing (avoid mowing too short), and watering are suggested. Spring and fall are suggested times for aerifying, assuming the turf is actively growing. Avoid heavy spring applications of nitrogen fertilizer. Focus most applications on the fall period. Fertilizers containing controlled-release nitrogen are suggested. Overseed dead areas with perennial ryegrass and resistant Kentucky bluegrass cultivars in late August or early September. These management suggestions may not bring immediate results, but will get the patch disease under control in the long run. Fungicides are an option to help prevent further development on unaffected grass, but will not reverse the factors causing the disease or eliminate the disease. Fungicides treat the symptoms but not the cause of the problem. Written by Bruce Spangenberg, former Extension Educator, Horticulture. University of Illinois Extension. Tree Check Sonic Wave Tree Decay Detector is a breakthrough technology in sonic wave timers that will become an international standard in the pre-climb safety check, tree risk assessment and urban forestry inventories. Tree Check is designed for arborists and urban foresters as a low cost, simple to use, reliable field tool to detect the likely presence of significant decay, cavity or cracks in standing trees. Used properly it can "see inside the tree" revealing areas of concealed severe deterioration that undiscovered could result in tree structural failure or resultant property damage or personal injury.